Unless you’ve been living under a rock, you’ll know that we’re almost in June – which means Father’s Day! 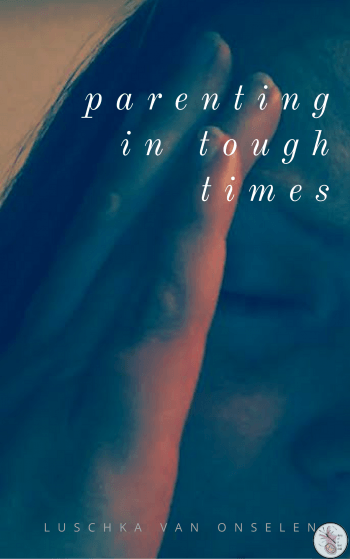 It can be really tough to know what to buy for dads for Father’s Day, specially when money is tight, or dad isn’t a resident parent, but I think it’s really important for the children rather than the adults, to acknowledge important days. And by the time kids are over half a decade old, well, you’ve done the hand print crafts, you’ve done the commemorative jewellery and you’ve done the photographs so what’s there really left to do? I saw this video last year where they identified 10 types of dads – Tesco have narrowed that down to six types of dads, with really apt and rather clever categories. 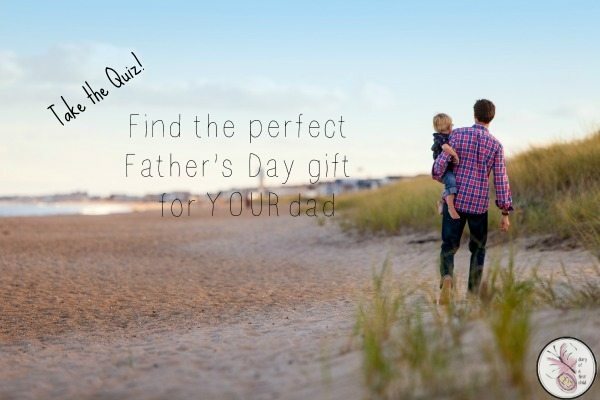 Take the quiz below to see which category the Father in your Father’s Day falls into, then pop on over to Tesco to find the perfect gift for your kind of dad. b. Having a laugh. If it involves dad jokes and playing games, he’s in! c. At the cinema, popcorn in hand. Or under a tree, with a book. d. With the music blaring – the sunnier the skies the louder the music at our house! f. Pottering about the house, fixing things. His Swiss Army Knife is never far away. a. Chief cook, and he’s good at it too. It’s relaxing after a day at the office, after all. c. Helping the kids with their homework. And sorting books and DVD’s alphabetically. f. He is Mr Fixit at home. He wouldn’t know how to call al handy man if he had to! a. Walking around a vineyard, tasting wines, snacking on cheese and olives. b. Chilling with the family, laughing and yes – playing games! Doesn’t really matter where. c. Somewhere super relaxed, with lots of movie and reading time. Preferably alone! d. Shortbreaks! Theatre breaks! Dinner cruises! Live concerts! Anything with a show gets his vote. e. If he’s not running the Scout camp, he loves a good and exhausting activity short break. f. Holiday? He’d rather be down at B&Q learning a new skill at one of their free workshops, thanks! b. Games, games, and more games. Same goes for his mates, though. c. Family movie night! He might even turn empty boxes into drive-in cars if you let him! e. He’ll kick a ball as happily as go for a swim. He’ll even take the little one on a tandem cycle. f. Teaching the kids how to garden, or saw. He loves your horror when they’re holding powertools! a. The Actifry. Or the Spiraliser. Or his fancy coffee maker. b. Anything unusual. He loves a conversation starter! c. His Kindle – YOU can read and watch, all on one device! d. His iPod and his Bose headphones. He can even cast to the surround sound speakers in the family room. e. His FitBit. Or his heart rate monitor. His greatest competition is himself, really! f. Well his Swiss Army Knife, obviously. Or maybe one of the mountain of tools in the shed. The best gift money never bought dad? a. That time his four year old served him burnt toast and raw egg. Never seen him happier! b. Seeing his kids cry with laughter and squeal in glee – this makes dad’s day. c. When you made him a DVD of all the video clips he’s taken over the years. He might have gotten teary, even. d. Every school concert. He’d rather take the day off work than miss it, really! e. Strolls along the beach, afternoons in the park, when the kids are happy outdoors, he is happy too. f. An afternoon pottering about the garden is worth all the money in the world to him. So long as you can do it together. Does dad spend Saturday afternoon pottering about in the kitchen? Making cupcakes with the kids? Does he cook the family dinners? Love a new gadget? Does he know the difference between an Actifry and a Spiraliser? Would he rather holiday in a vineyard or on a beach? If the answers to these are yes, yes, yes, yours is a FOODIE DAD. The latest box set, the top grossing films, an Unlimited movie card or Netflix, dad’s got them all, and he’s not afraid to use them. If you’re looking for him, you’ll find him on the softest cushions, chilling out. If this sounds like your dad, you have a FILM AND BOOKD DAD! If dad’s favourite thing in the world is music and the best thing he can do is go to a music concert and see a live show, then yours is a MUSIC Dad. SPORTY DAD is always on the go. He has a tracker for everything, and he has an impressive at-home gym collection. DIY Dad likes to do it all himself, though he’ll always accept a little ‘helper’. He loves when the kids want to help him fix up the house and he feels a strong sense of ownership about and pride in everything he does.